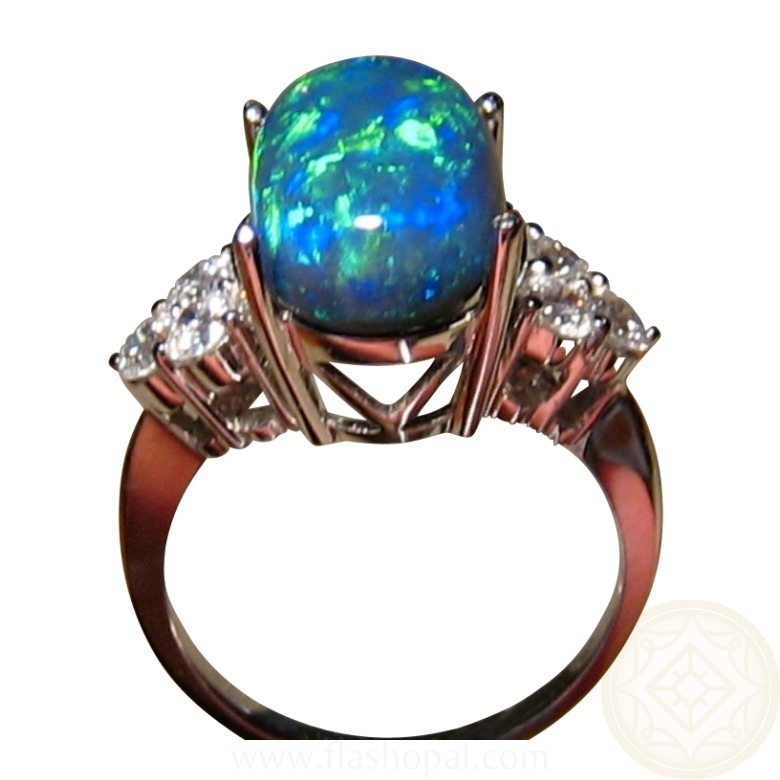 Large Natural Black Opal and Diamond Ring in a 14k Gold Ring. 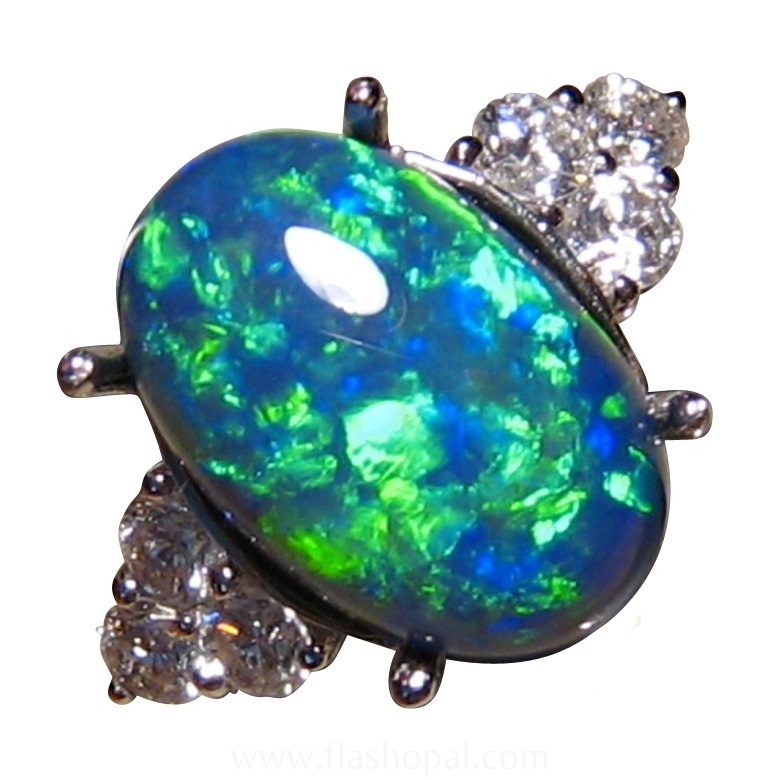 Top Quality Black Opal Ring with Diamonds for women that can be worn either as a Dress Ring or a substantial Engagement Ring. 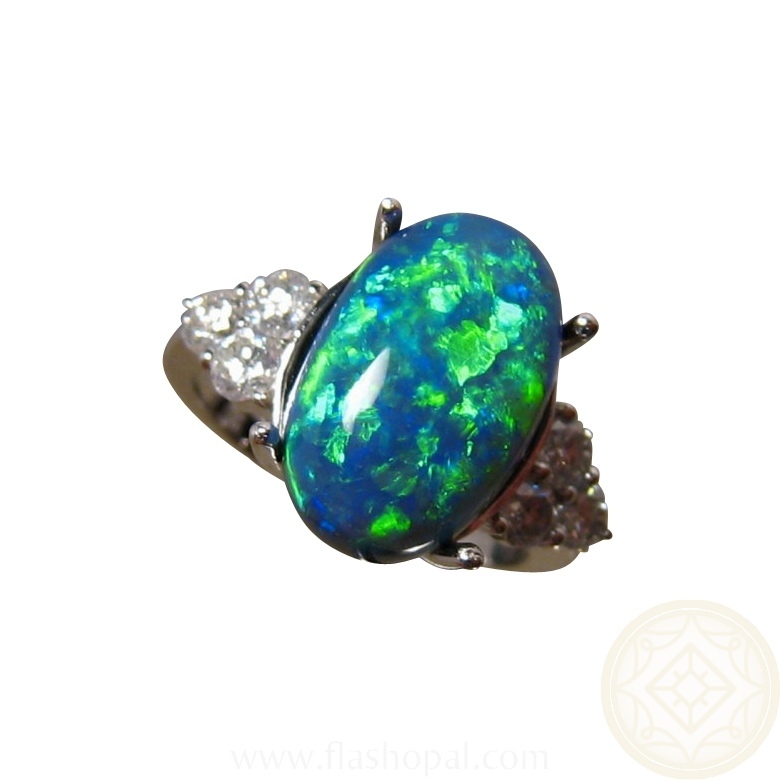 This 5.5 carat natural Black Opal is from Lightning Ridge and has extremely bright Green and Blue colors which give it a 'rich dreamy' look. The play of color can be better seen in the video rather than the photos but of course, the ring is best seen in person. Shown in 14k White Gold, the ring has three top quality diamonds on each side for a total of .60 carat. 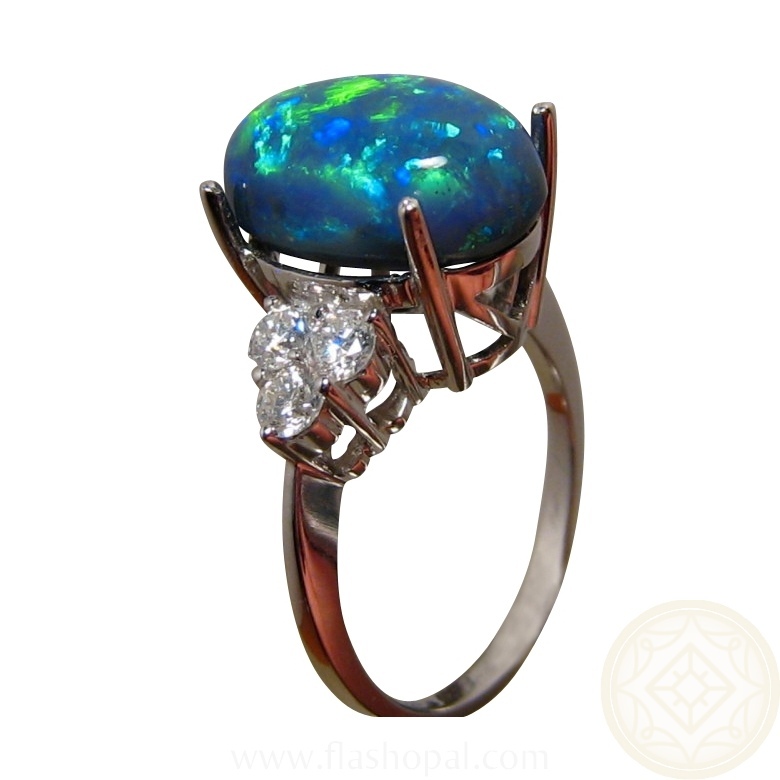 This beautiful Black Opal Ring is ready to ship as advertised or other ring sizes and Gold preference please allow 14-21 days for shipping. 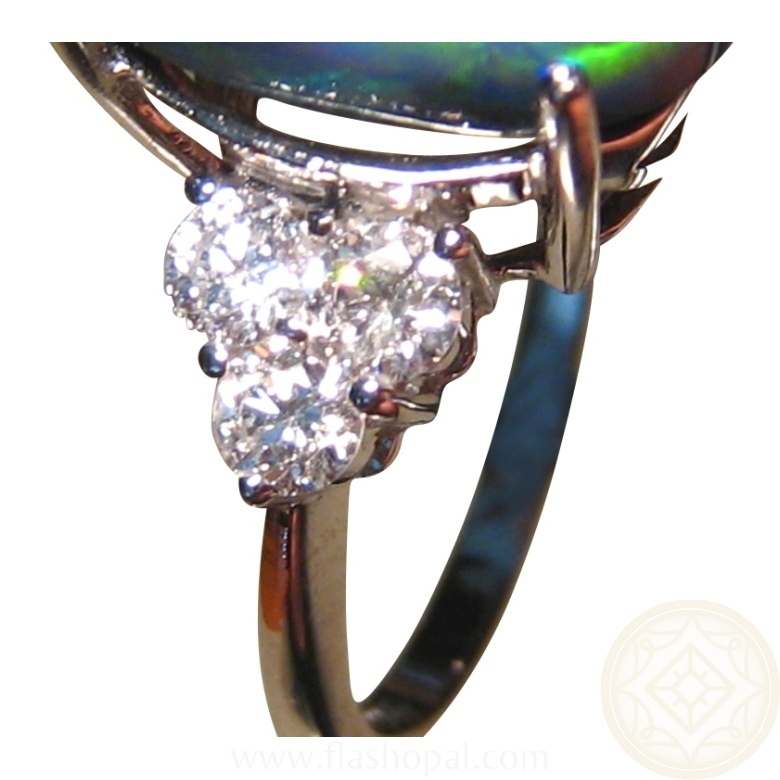 The Opal will be set securely with the prongs brought down after your ring size is advised. 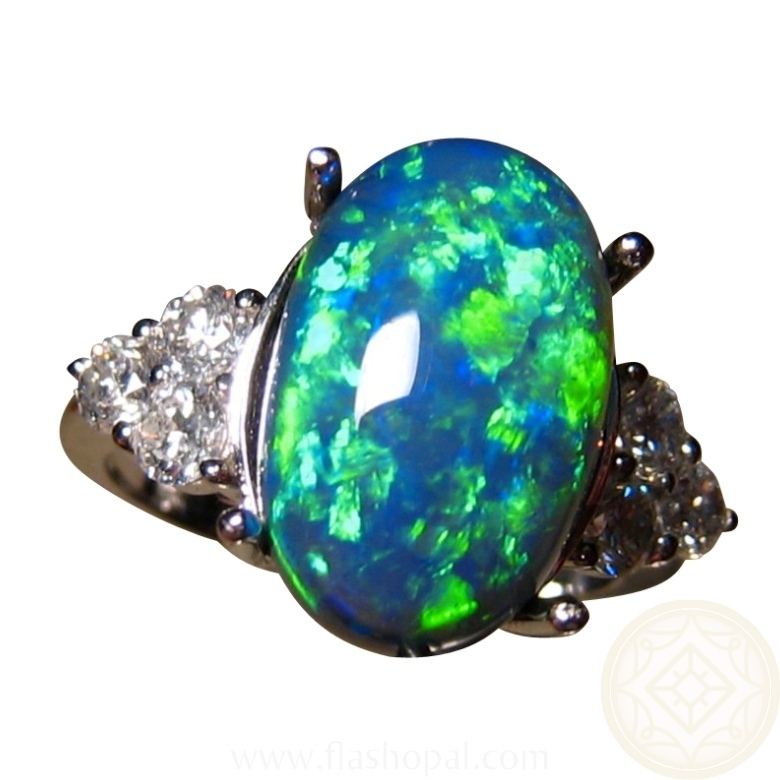 As this stunning opal is not yet set, it can also be mounted into a different ring setting or even a pendant if you prefer. Simply inquire through this product for a no obligation quote.